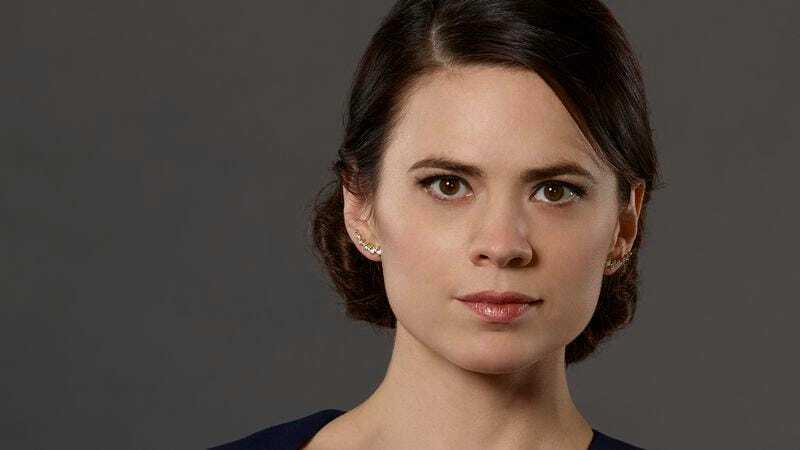 ABC presents an image of Hayley Atwell, as a character who’s not Peggy Carter, just to make that wound sting a little more. When a regime change occurs at a television network—as it did at ABC this winter—the new boss’ first order of business usually involves clearing the old boss’ pet projects off of the schedule. And so newly minted ABC chief Channing Dungey made herself known last week, as the network canceled Galavant, The Muppets, Nashville, and Castle (shows favored by her predecessor, Paul Lee) along with lackluster performers Agent Carter and The Family. That leaves many holes in The Alphabet’s programming lineup, but Dungey and company aren’t rushing to plug them with newcomers: As reported by Variety, five of the nine pilots ABC recently ordered to series are slated to debut this fall. Spots vacated by Castle and Nashville will be assumed, respectively, by the legal drama Conviction (a.k.a. the show that doomed Agent Carter) and the Kiefer Sutherland-led Designated Survivor. Meanwhile the network will attempt to ease its Tuesday woes by adding an hour of comedy—The Middle plus American Housewife, the latter from Bunheads alum Sarah Dunn—and throwing Agents Of S.H.I.E.L.D. into the timeslot that made quick work of Wicked City and Of Kings And Prophets this season. One noticeable absence from the fall schedule: Scandal, which will debut at midseason due to Kerry Washington’s maternity leave. (And not, as you might assume, because of that unholy mess of a fifth season.) The inspired-by-a-real-D.C.-fixer soap will be replaced by the inspired-by-a-real-criminal-defense-attorney series Notorious. ABC’s complete fall schedule follows. All times Eastern; new shows in bold (and, as of yet, un-canceled). 10 p.m.: Marvel’s Agents Of S.H.I.E.L.D.